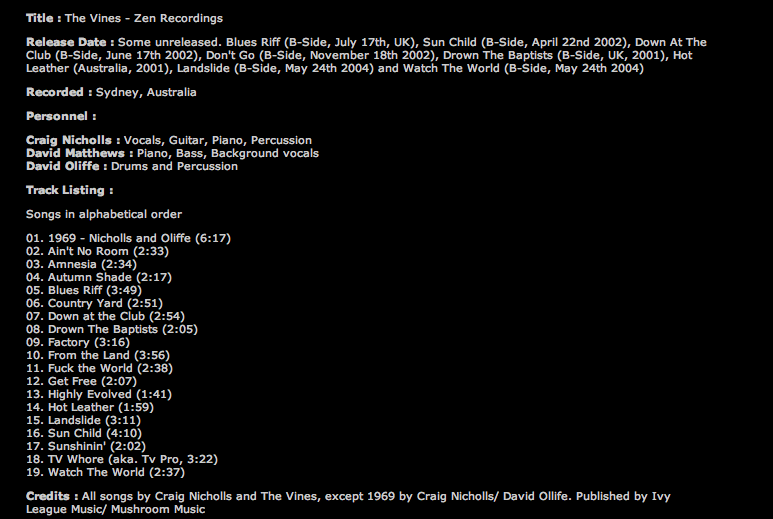 Hey guys just found the full list of songs recorded for the Zen demos. Anyone got these early demos? I have a few but never realized there were so many songs recorded.